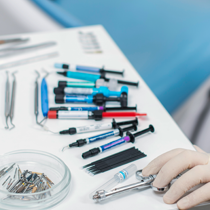 Built upon the most innovative and conservative approaches to dentistry, our offices conduct thorough exams and present precise treatment plans for every patient. Treatment will not be started until our patient is fully informed of all treatment options. We know that using only the top name brand materials is the best way to increase the prognosis of all of our treatments. Even if it means more overhead costs, these fees never trickle down to our patients. Our greatest reward is a healthy and happy patient base. 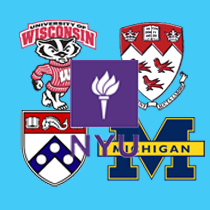 With educational backgrounds from universities such as the University of Pennsylvania, New York University, University of Michigan, University of Wisconsin, and University of McGill, our patients can feel comfortable that they are in the most caring, skilled hands. "Going to the dentist has ALWAYS been my biggest fear in the world, but stepping into the offices of Northeast Aesthetic Dental was probably one of the best decisions I've ever made. Dr. Barot took his time to explain everything to me and didn't rush. He was very gentle throughout my treatments. I guess I don't mind going to the dentist anymore." "After relocating to Philadelphia for work, I've had a lot of difficulty finding a trustworthy dentist. However, Dr. Barot from Northeast Aesthetic Dental was the perfect fit for me! Not only was his treatment the most conservative, it was actually the cheapest. It's nice to see dentists like him are still around. Thanks Dr. B!" "My entire life, I've always been self conscious about my 'crooked' smile. I finally decided to do something about it and made an appointment at Northeast Aesthetic Dental. What most surprised me about my appointment was the length of time Dr. Barot spent going over the different veneer and crown options. 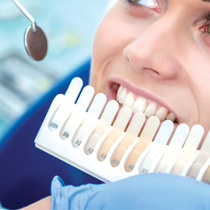 I was never rushed into treatment and, after receiving the veneers, I must say I can't help smiling every chance I get. My only wish was that I had found him sooner." We accept most insurance and offer the same level of excellence regardless of insurance type. Dr. Akash Barot is dedicated to continuing the excellence in patient care that his father, Dr. Ashok Barot, has established in the Philadelphia area as a dentist for over 35 years. We take most type of insurances as well as offer affordable payment plans. What if I can't afford 'aesthetic' dental? It's not about money. We swear. Our fees are way below market rate because our only goal is to bring quality, healthy smiles to everyone.